Peugeot has launched its new model, the 207, with two television advertisements featuring insects: two amorous ladybirds and a dancing firefly. The Peugeot 207 was released in January 2006 on French, Spanish and Italian markets. It is now being rolled out in the Netherlands and United Kingdom. 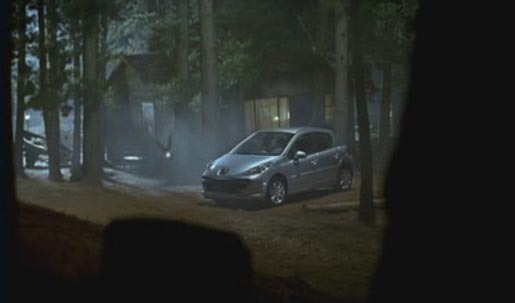 Both Peugeot 207 TV spots were developed by advertising agency Euro RSCG, Brussels, by creative director Jean Luc Soille, art director Paul Henry Guilmin, copywriter Frederic Bilquin, executive agency producer Simon Chater-Robinson, account supervisors Olivier Pluquet, Claude Couderc, H. Jacob and T. Hofer, working with Peugeot marketing team Marc Firome, Andre Cherid, Céline Moussy and S Brezellec. Filming was shot by director Thierry Poiraud via Paranoid, France, with executive producer Nicolas Leclercq, director of photography Philippe Le Sourd. Visual effects were created at BUF, France. Music is “Heartaches”, sung by The Marcels and found on their album, The Complete Colpix Sessions. Download the track from iTunes or buy the album from Amazon.com.